Every now and then comes a cafe (another cafe?) operating from a most unorthodox choice of location; almost like a close encounter of the hippie kind and yet drawing in hordes of die hard fans returning for almost the same reason. It’s either the coffee, the ambience or the company. In the case of VCR, it could have been a (lethal) combination of all. 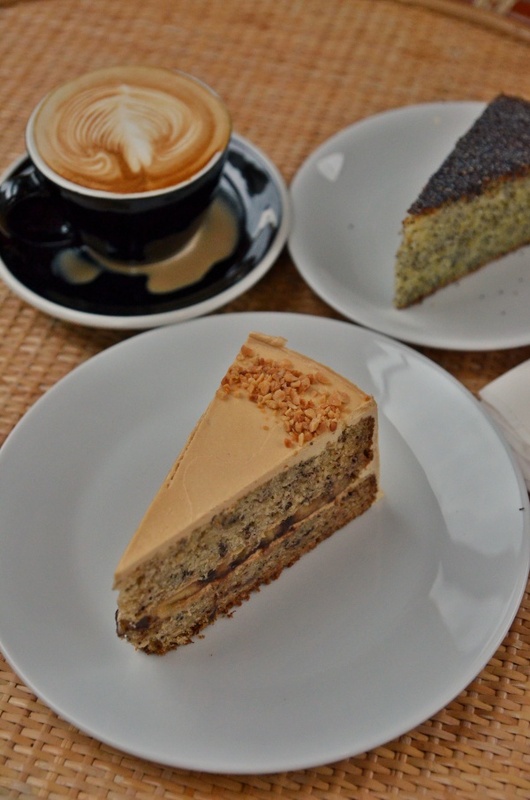 The cakes and coffee here speak volume of their passion in emphasising on only the good stuff. Barely half a dozen choices of cakes available, and no savouries, yet the younger crowd came in droves. And spend a good amount of time idling away. The setting was almost industrialised with an extremely large panel of windows unabashedly letting in rays of sun. Perfect in the mornings and late afternoons. Without GPS or Waze, I would have thought that we were lost behind alleys in the midst of the city. 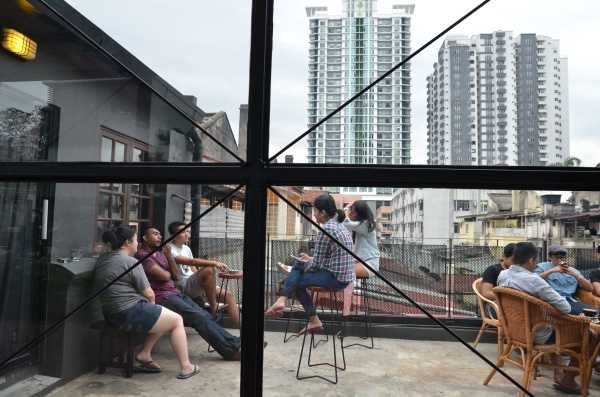 In fact, VCR is very near to Times Square around Pudu area, just tucked hidden behind foliage of apartments and old shophouses. Waltzing in into the cafe on a Sunday evening, the crowd was relatively thin, yet not without a spark of life. We chose to be seated upstairs and relished in the coffee experience of sipping their excellent latte (the right balance of coffee and milk, and at the right temperature; lukewarm yet not stark cold), and the decadent slice of The King (about RM12/USD4); banana sponge cake base cake interspaced with slices of bananas, and enveloped in a coating of rich peanut butter cream and topped with crushed peanuts. The Lemon Poppy Seed cake was lighter in comparison, though it didn’t take our breath away. Passable, but forgettable. If you ask me whether this was worth the hassle of driving all the way over from PJ (okay okay … slightly exaggerated but still, it was a Sunday anyway), I would say YES. A resounding yes, actually. 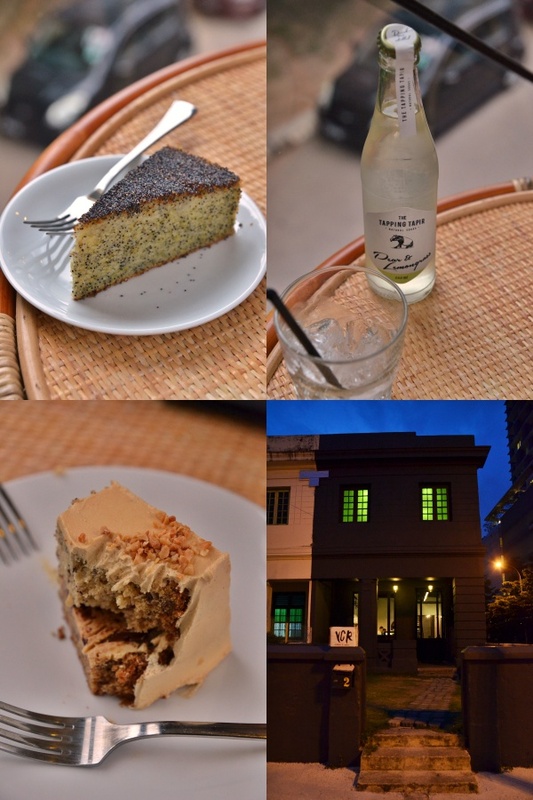 I wish I had taken photos of Feeka Coffee Roasters next to Palate Palette on Jalan Mesui the other day to share with you all. Another coffee place with some nifty food finds, that’s a short distance away from VCR and deserves an opportunity to shine as well. At the end of the day, don’t we all just wish for some time off away from the manic pace of corporate life and just kick back, smell the coffee and tell stories? Aiyah. 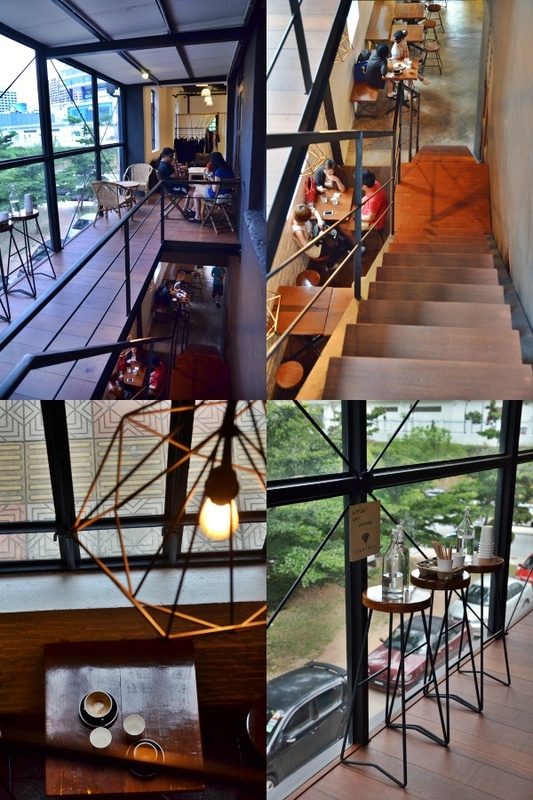 Their coffee is best in Malaysia. What do you expect? Bersyukur sikit.